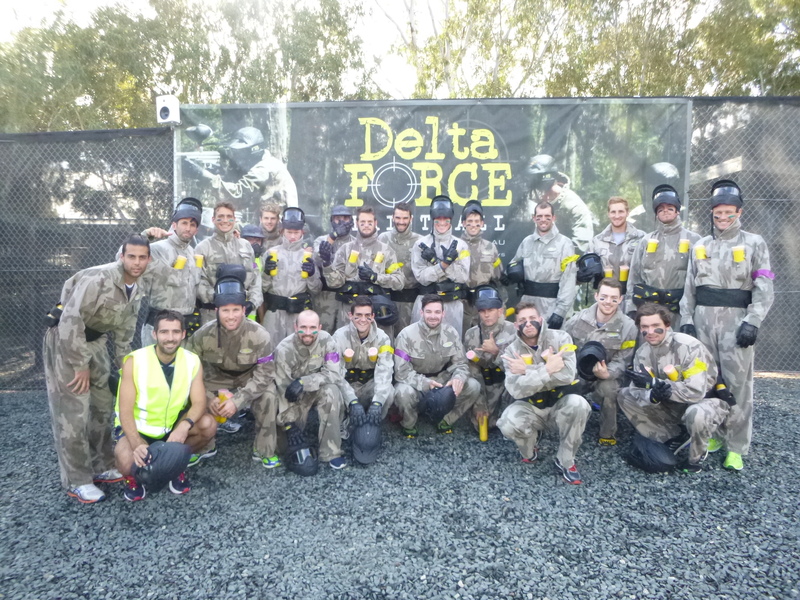 Australia’s decorated men’s Hockey Team took a break from their extensive training regime for some team bonding and recreation at Delta Force Bonneys last weekend. The fun and exhilarating paintball experience Delta Force provides was an ideal part of their preparations on the Road to Rio. Negotiating a series of strategic game zones, teams were required to work together to achieve the objective. Delta Force provides numerous high-quality scenarios including Tomb Raider including a 30-foot stone pyramid, The Wall with a life-like World War II re-creation and Wild West Village. The Kookaburras experienced the immersive paintball experience customers have come to expect from Delta Force Centres around the world. We wish The Kookaburras and their team management all the best in their quest for Australian Gold in Brazil.